The stylish design of this pair of geometric stud earrings is not the only element that captures attention. It's the fire and brilliance of lab grown diamonds that makes this classy piece of jewelry truly priceless. These incandescent, eco-friendly gems are pave set within an alluring kite motif frame and dazzle endlessly. 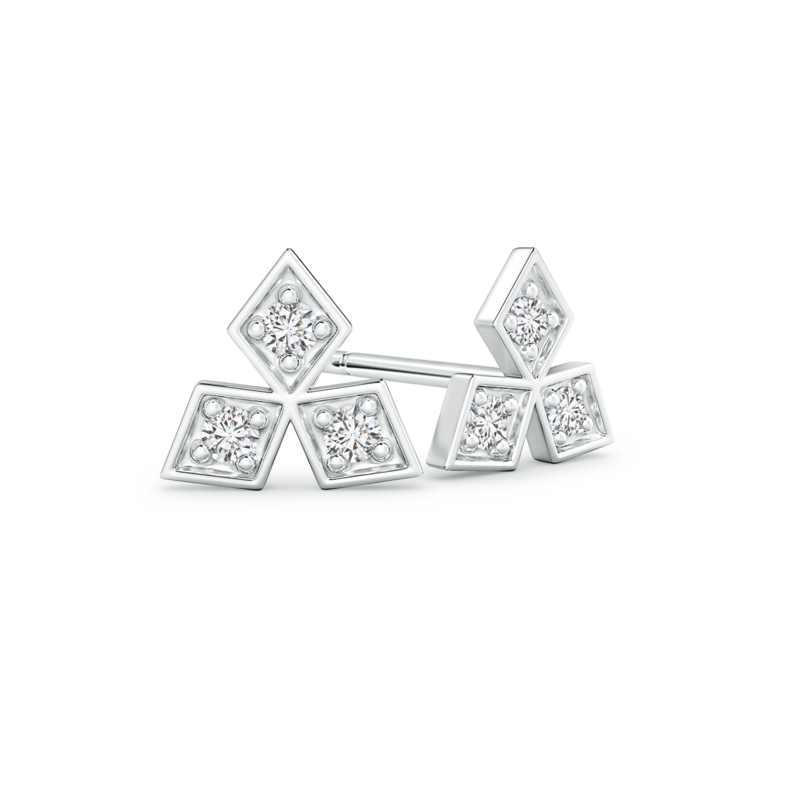 The glistening 14k white gold metal infuses just the right hint of charm to the already stunning three stone style of these lab grown diamond stud earrings.